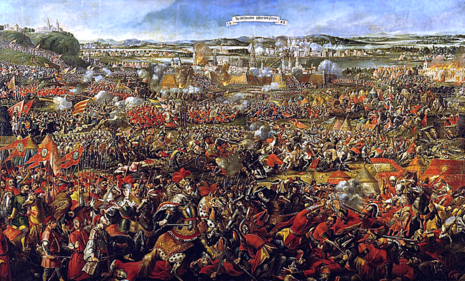 The Battle of Vienna took place on 11 and 12 September 1683 after Vienna had been besieged by the Ottoman Empire for two months. 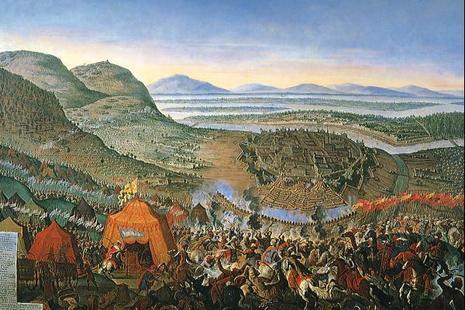 It was a battle of the Holy Roman Empire in league with the Polish–Lithuanian Commonwealth (Holy League) versus the Ottoman Empire and chiefdoms of the Ottoman Empire at the Kahlenberg mountain near Vienna. The battle marked the beginning of the political hegemony of the Habsburg dynasty in the Holy Roman Empire and Central Europe. The battle was won by the combined forces of the Holy Roman Empire and the Polish–Lithuanian Commonwealth, however with the sole presence of the forces of Crown of the Kingdom of Poland (the march of Lithuanian army was delayed, as a result of which they arrived in Vienna after it was relieved). The Viennese garrison was led by Ernst Rüdiger Graf von Starhemberg subordinate of Leopold I Habsburg, Holy Roman Emperor. 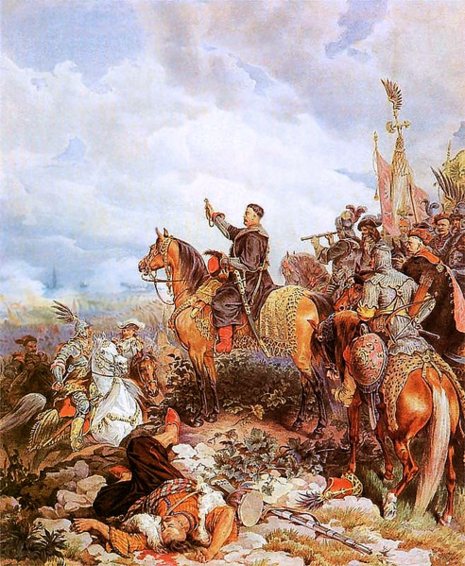 The overall command was held by the commander of the Polish Crown's forces, the King of Poland, Jan III Sobieski. 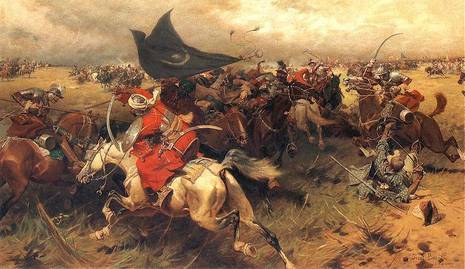 The alliance fought the army of the Ottoman Empire and those of Ottoman fiefdoms commanded by Grand Vizier Merzifonlu Kara Mustafa Pasha. The siege itself began on 14 July 1683, by the Ottoman Empire army of approximately 150,000 men. The besieging force was composed of 60 ortas of Janissaries (12,000 men paper strength) with an observation army of c.70,000 men watching the countryside. The decisive battle took place on 12 September, after the united relief army of approximately 75,000 men had arrived. 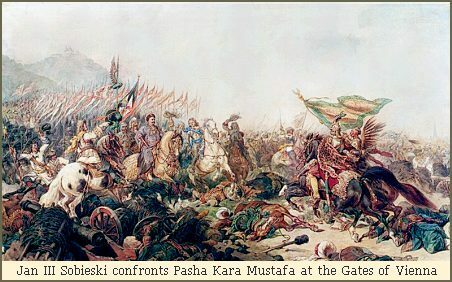 It has been suggested by some historians that the battle marked the turning point in the Ottoman–Habsburg wars, the 300-year struggle between the Holy Roman Empire and the Ottoman Empire. However, an opposing view sees the battle as only confirming the already-decaying power of the Ottoman Empire. Over the sixteen years following the battle, the Habsburgs of Austria gradually occupied and dominated southern Hungary and Transylvania, which had been largely cleared of the Ottoman forces. The battle is also notable for including the largest cavalry charge in history. 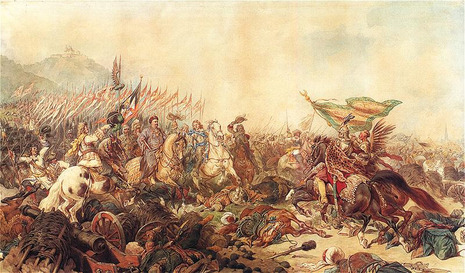 The Battle of Vienna marked the historic end of the expansion of the Ottoman Empire into Europe. The Ottomans fought on for another 16 years, losing control of Hungary and Transylvania in the process, before finally giving up. The end of the conflict was finalized in 1699 by the Treaty of Karlowitz. The behavior of Louis XIV of France also set the stage for centuries to come: The Holy Roman Empire had to fight wars simultaneously in the West and the East. While its troops were fighting in the Holy League in defense of Vienna, Louis ruthlessly used the occasion, before and after the battle of Vienna, to annex territories, such as Luxembourg and Alsace. The biography of Ezechiel du Mas, Comte de Melac illustrates the devastations of large parts of Southern Germany by France. In honor of Sobieski, the Austrians erected a church atop a hill of Kahlenberg, north of Vienna. The train route from Vienna to Warsaw is also named in Sobieski's honour. The constellation Scutum Sobieskii (Sobieski’s Shield) was named to memorialize the battle. Because Sobieski had entrusted his kingdom to the protection of the Blessed Virgin (Our Lady of Czestochowa) before the battle, Pope Innocent XI commemorated his victory by extending the feast of the Holy Name of Mary, which until then had been celebrated solely in Spain and the Kingdom of Naples, to the universal Church; it is celebrated on 12 September.